This is a book about liberal democratic values and their implications for the design of political institutions. 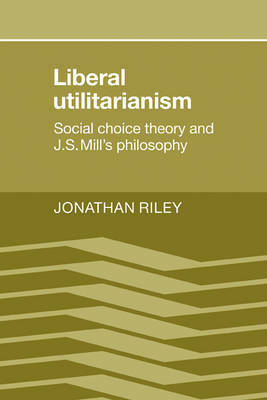 Its distinctive feature is the use of some simple mathematical techniques (known as social choice theory) to clarify and defend a rather complex utilitarian conception of the liberal democratic 'way of life' based on John Stuart Mill's work. More specifically, the text focuses on three well-known 'social choice paradoxes' which are commonly held to destroy any possibility of an ideal harmony among liberal democratic values; and draws upon suggestions implicit in Mill's writings to develop an ethically appealing liberal democratic social choice framework in which the aforementioned paradoxes no longer cause concern. The revised framework is a rather complex version of utilitarianism and should be of special interest to welfare economists, social choice theorists, democratic political theorists and philosophers concerned with utilitarian ethics.